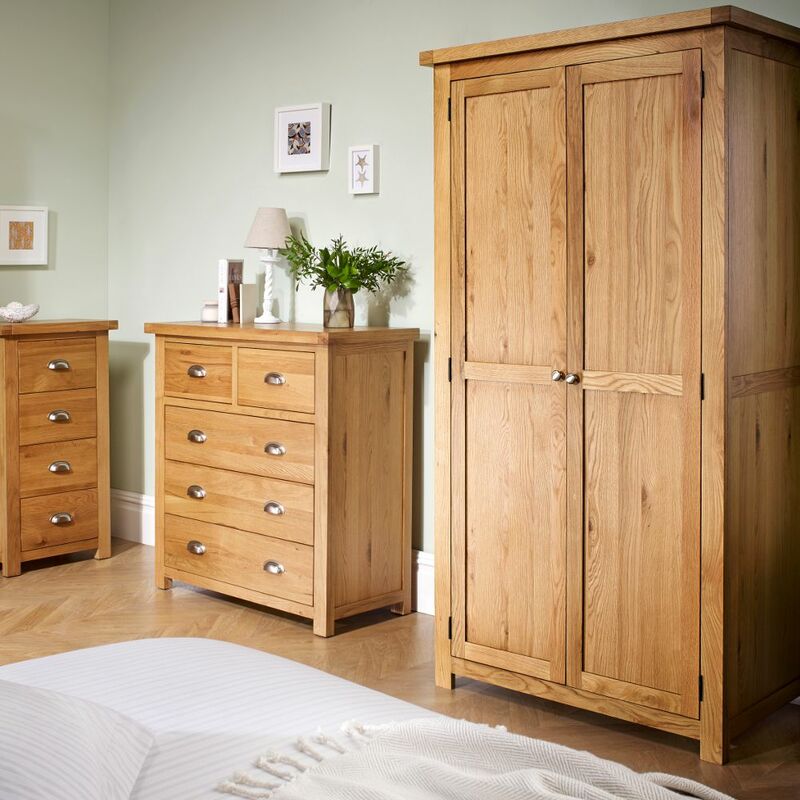 A charming addition to snug rooms that still require clothes storage, the Woburn 1 Door 5 Drawer Wardrobe Oak is a moderately sized wardrobe that can comfortably accommodate a variety of clothes and belongings. 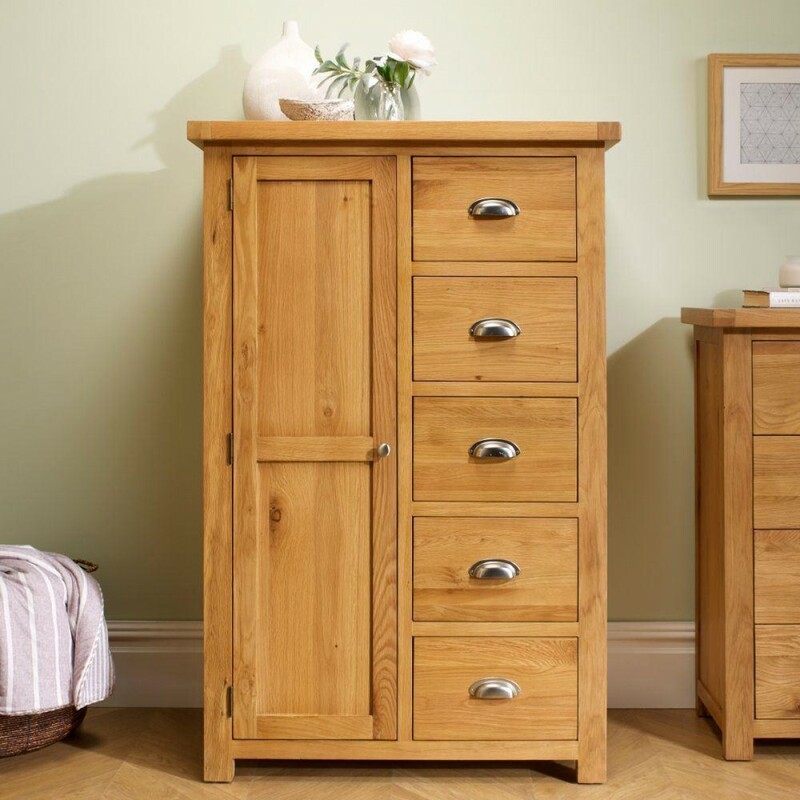 An ideal addition to rooms decorated in a rustic decor, the Woburn 1 Door 5 Drawer Wardrobe Oak is beautifully finished with a natural look. Although it's small, the Woburn 1 Door 5 Drawer Wardrobe Oak features a compact wardrobe section with a built in rail. Ideal for hanging shirts, jumpers and jackets, this wardrobe section is perfect for those with little need for hangers, yet still require a few. Along with this wardrobe section the Woburn 1 Door 5 Drawer Wardrobe Oak has five small drawers, each adorned with stylish modern handles. 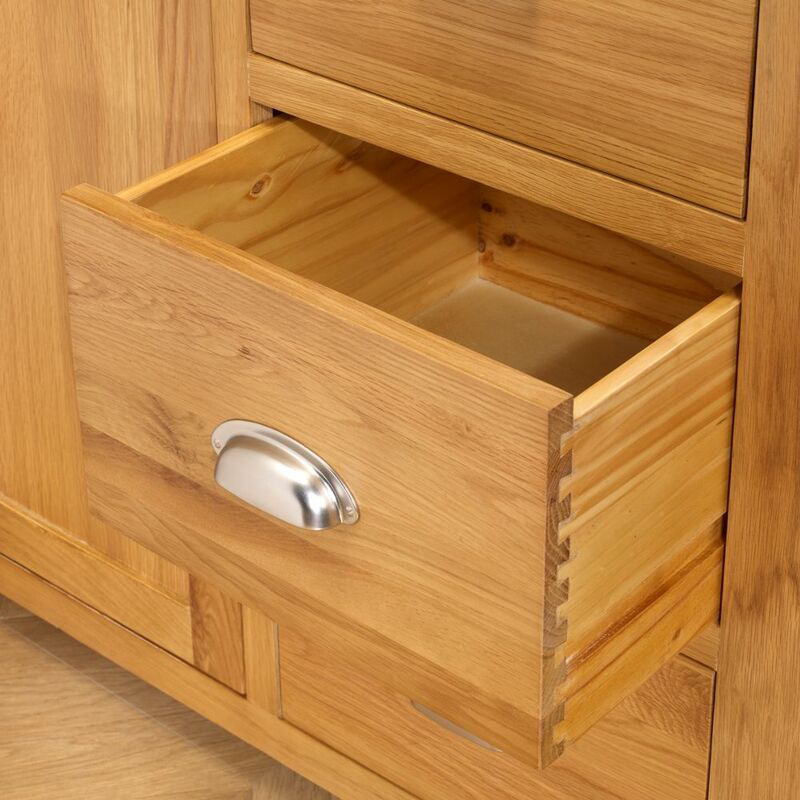 Ideal for clothes such as folded shirts, socks or underwear as well as miscellaneous belongings, the Woburn 1 Door 5 Drawer Wardrobe Oak would lend itself well to bedrooms. Constructed out of high quality, solid oak, the Woburn 1 Door 5 Drawer Wardrobe Oak comes readily assembled for convenience. Durable and sturdy, the Woburn 1 Door 5 Drawer Wardrobe Oak is an excellent compromise between subtle style and reliable substance. The product is part of the The product is part of the Woburn Oak Wooden Bedroom Furniture Collection.